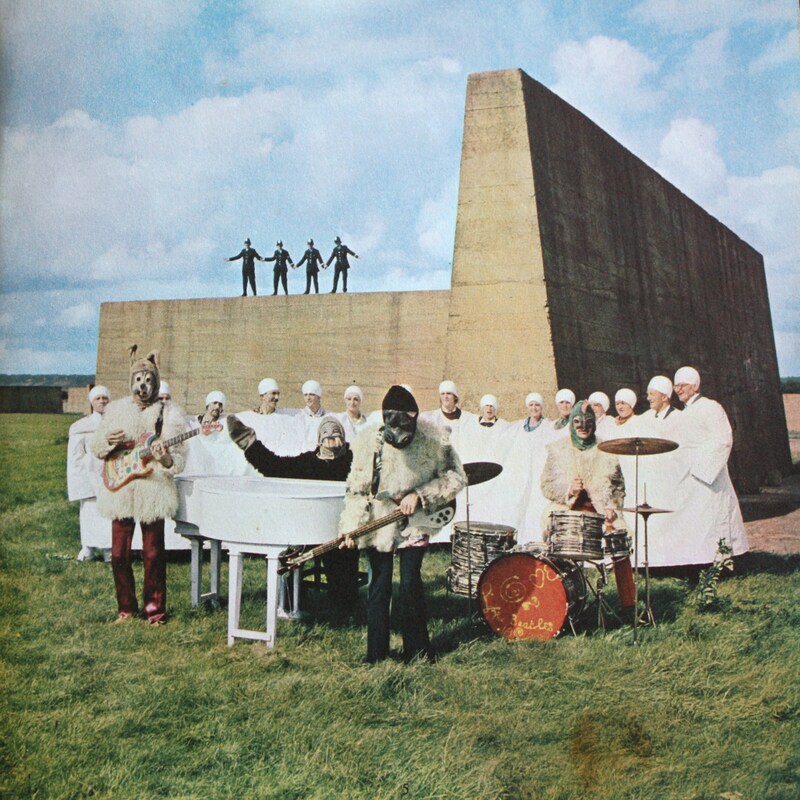 We have a little “Paul Is Dead” section on feelnumb.com with a breakdown of some of the alleged clues of Paul McCartney’s death in 1966. Here’s another one. 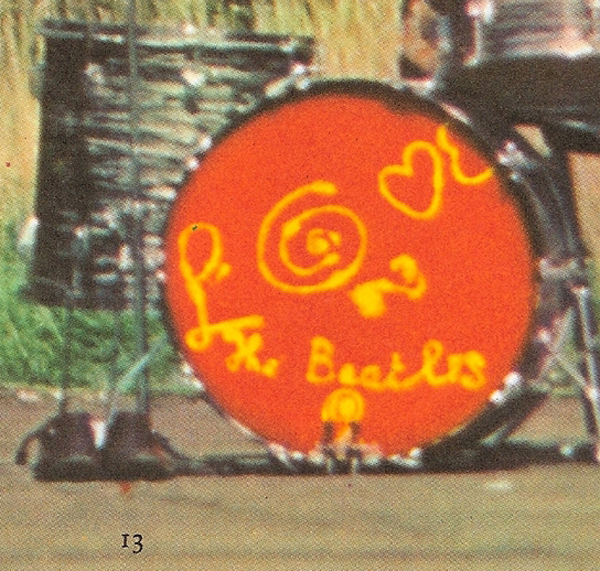 In the same photo Ringo Starr’s drumhead also has a little hidden message. 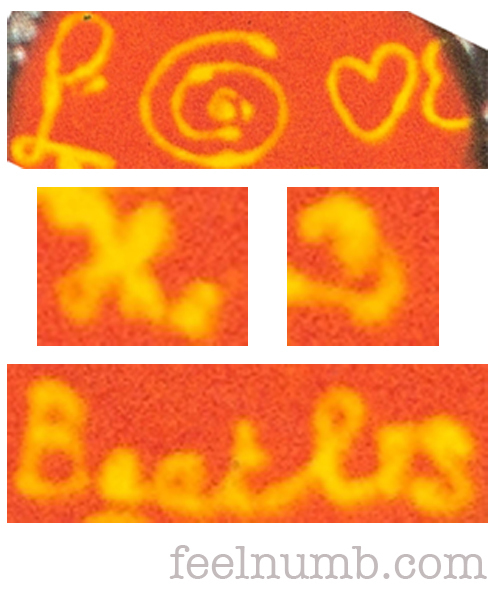 It reads “Love the 3 Beatles“. Implying of course, that there are only three surviving members of The Beatles. Here’s our photoshop version to make the hidden message a bit clearer. 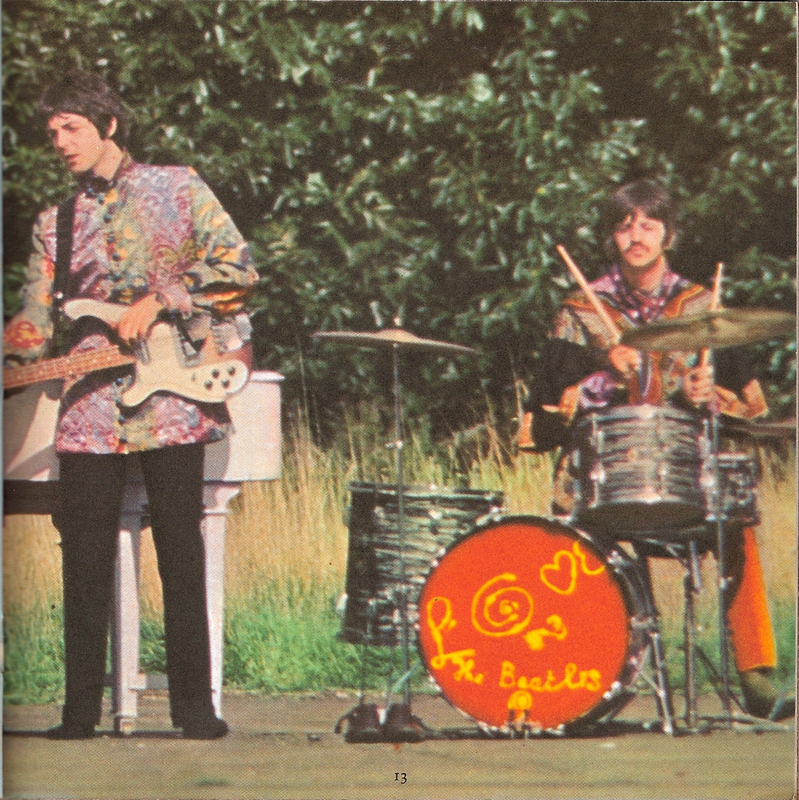 The only other time I remember seeing Ringo play that drum kit was on the June 25, 1967, One World “All You Need Is Love” live Satellite broadcast for over 400 million people in 26 countries around the world. 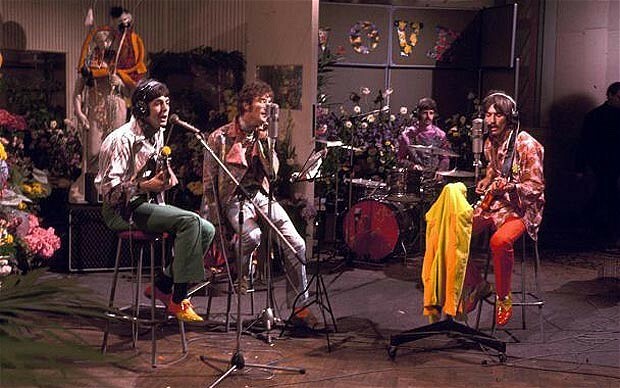 Great time to clue the world into the “death” of Paul McCartney.